Chances are good that you’ve at least heard about kale, even if you’re not entirely sure what it is. Similar to tofu possibly. So what is kale? Don’t worry – this leafy, green wonder food isn’t that hard to understand. And once you know a little more about it, you’ll likely want to make sure that it’s a staple of most of your meals. So, what should you know about it? Kale is a leafy green, similar to other greens. It has been grown and eaten since at least the time of the Roman Empire. It’s technically related to the cabbage family. Although you won’t be gassy after eating it (unlike many other cruciferous veggies, including broccoli). There are quite a few different kinds of kale out there, some of them with strange names, like Siberian dwarf kale. All of them are green or green-blue, but you’ll find curly, flat and other leaf shapes, as well. Each variety has a slightly different flavour. However, they all pack a lot of nutrition and taste onto the plate. In addition to the vitamins and minerals listed above. Kale is also packed with powerful antioxidants that can help fight any number of ageing-related diseases. 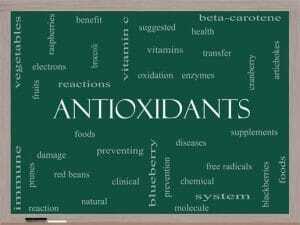 Two of these antioxidants are kaempferol and quercetin. Both of these have shown the ability to fight cancer, combat viruses and even lift your mood. Speaking of cancer, kale also offers high levels of sulforaphane, which can combat cancer on the molecular level. There are dozens, perhaps hundreds, of different ways to eat kale. It’s wonderful as part of a mixed green salad. However, other people like to bake their leaves into “chips” drizzled with olive oil and lightly salted with sea salt. It’s also a great addition to a veggie dip. Also kale can be used to replace spinach in just about anything you might want. 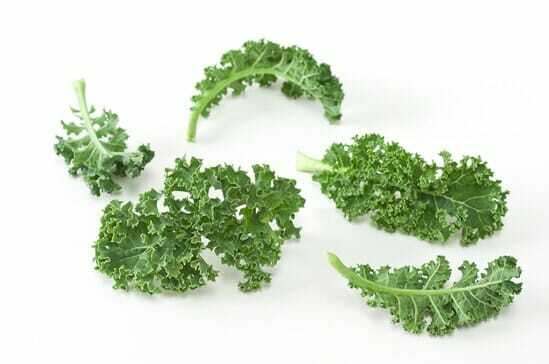 When eating kale for its nutritional value, it’s important to remember that those nutrients are better metabolised within the body when the kale is combined with another type of food. Particularly with a healthy fat, such as what’s packed into avocados. This allows the body to process the carotenoids within the leaves better. Acid, such as a drizzle of lemon juice, can help the body process kale’s iron content better, as well. Kale can also be added to smoothies for a tasty treat, or it can be eaten raw and whole if you prefer. Interestingly, kale does well when sautéed, and it can be added to pasta sauce with a little chopping or a quick pulse in a food processor. It’s also a great addition to a number of soups, including baked potato soup. As you can see, there are plenty of reasons to get to know this possibly unfamiliar green a little bit better. It can be a delicious addition to any healthy diet, and it’s a great way to bring new flavours to the table for anyone looking to create healthier, better-tasting dishes.